David Howard continues to be inspired by “Basketball and Brotherhood” after an accident that changed his life. The story features the honorable resilience that David Howard US Air Force Dependent and Motivator” exudes despite his injuries. 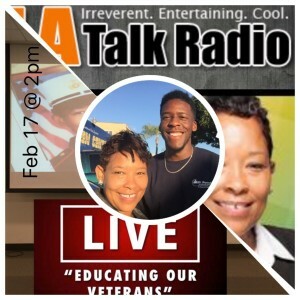 David Howard mentors youth in El Segundo, CA as a Coach who is passionate about Educating Our Veterans through his story and tells his testimony on air with special guest: Brandon Lopez who press forward toward the Key by producing documentary films together. Life is good in and off the court when you AIM HIGHER. A special surprise from David Howard’s Father, Mother and Brother make the show of love and support we all seek and desire in our lives. Be uplifted in the midst of life’s trials with the Howard Family today.